Note this product is replaced by ZapPulse 2.3SE Click here! Click to enlarge image! New third generation PWM amplifier technology. This tiny module can produce up to 290 Watts of pure Audio Power in 8 Ohms, 580 Watts in 4 Ohms and 1000 Watts in 2 Ohms RMS Continuous power. Standard Edition (lower rated) version rated at 200 Watts RMS in 8 Ohms, and up to 650 Watts in 2 Ohms. Unique to the ZapPulse modules they can be bridged for incredible high output powers at virtually no space and cost. Two modules in bridge mode will deliver +1000 Watts in 8 Ohms and up to 2000 Watts in 4 Ohms. The module size is exactly the same as a normal credit card! Since the efficiency is extremely high (some 96%), almost no heat sinking is required. Click to enlarge image! Power Loss curve showing the losses in a PWM amplifier, at different power levels, compared to that of a normal Class A/B amplifier. 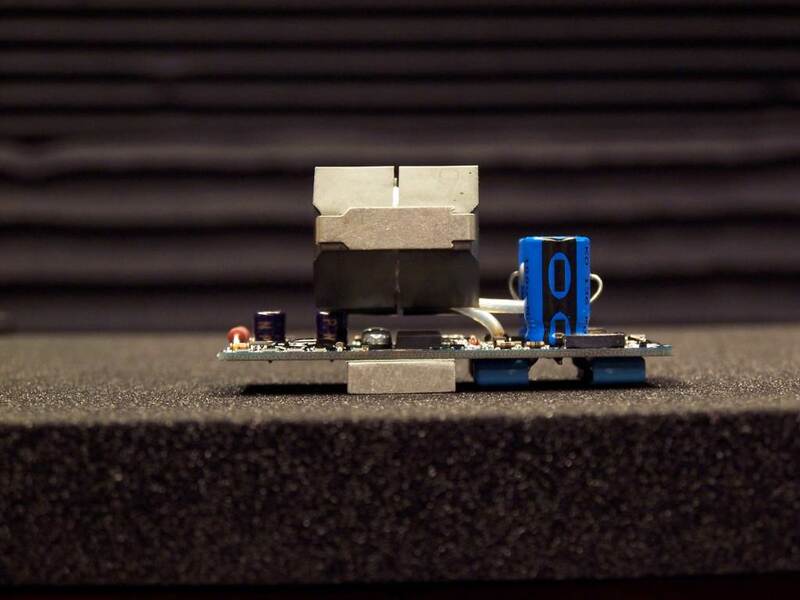 The new module has on board DC servo, to allow trouble free connection to electrostatic loudspeakers, and of course the short circuit protection keeps your amplifier safe in uses where the outputs might get shorted. If you wish to drive low impedance speakers, such as Infinity Kappa, or DALI Megaline, with impedances down to 1.5 Ohms in the bass region, you can do so by disabling the Short Circuit Protection. It is completely safe to drive a 1.5 Ohms load at around 800 Watts RMS, as long as the outputs are not shorted. Click to enlarge image! The output power specs are measured at 100 ºC, but since the amplifier module in a normal setup never exceeds 30 ºC, there is still a good safety margin. The input signal is analog, and so connects with any ordinary audio line signal from a preamplifier, CD player or any other source. On the ZapPulse 2.2 SE module it is converted to PWM square waves in an ultra high speed integrating modulator. This integrator constantly compares the input signal with the output signal, directly after the MOSFET's (Local Feedback). If any deviation of the output signal, integrated over a time period of one switching cycle (approximately 1 / 500.000 th of a second) the pulse width of the subsequent switching cycle is corrected exactly to level out the deviation, and stay right on the signal track. The PWM technology is more costly than a normal analog amplifier, but no heat sinks are required, and all energy from the power supply is converted almost without loss to Audio power, therefore it does not have to be oversized like in a normal analog amplifier. Subsequently a complete PWM amplifier can be built much cheaper than a similar conventional amplifier. Click to enlarge image! Minimalist System! This is how simple a monoblock can be built with ZapPulse! 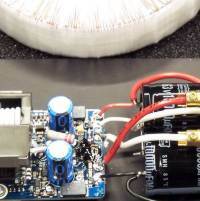 The shown 'heat sink' can support the amplifier at audio powers up to a continuous 400 Watts RMS. 1 Predator Power Supply module. 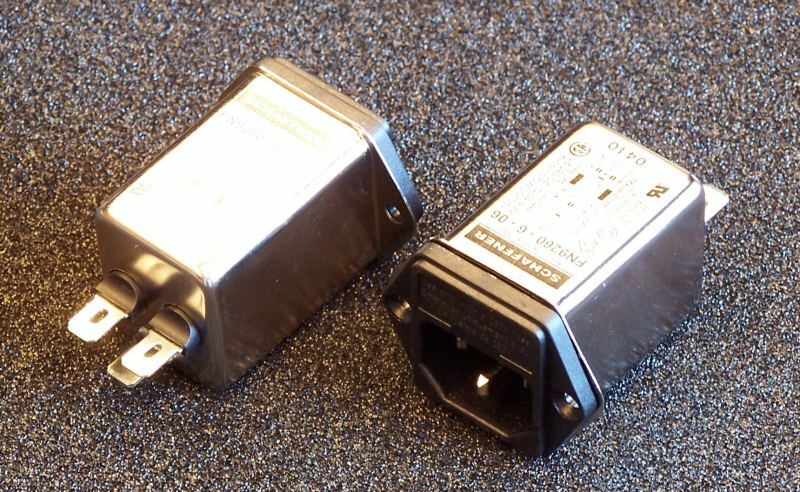 1 Transformer 2 x 42V 400 VA.
1 set with signal plugs and speaker connectors. 1 IEC fused mains inlet with noise filter. Measured with +/- 65V DC rails unless otherwise noted. July 2004: About one month ago I started using your digital amps, they are used together with a transformer of 2x 27V which was just at hand, 2 bridge rectifiers 600v/ 35 amps and 4x 50.000 uF for the entire amplifier, i love listening to CD's again. Last weekend i was able to compare the amplifier with a Spectral DMA 150 II, this amplifier is often preferred with Avalon loudspeakers and MIT cable, i like the sound of this amp very much. I must say and also the owner of the Spectral agrees that the differences between the two amps are very small, I even feel that if it gets very loud your digital modules sound quieter and have more control. Although my power supply only produces 2x 38 volts DC and thus gives a max power of about 85 watts in 8 ohms it sounds much more powerful, it always has plenty of control and sounds never stressed. Later that night a user of a Hovland amp also came to listen, he also was very impressed and ranked your digital amp in the same league as the Hovland, he found the sound was very rhythmic and a touch on the warm side. Both amplifiers, Spectral and Hovland cost €12.500,= each, i spent €700,= on my L C Audio power amp, can You imagine how happy i am with your amplifier modules? If a user wants to get the best from the LC Audio amplifier, it is preferred to have it warmed up for about 1.5 to 2 hours, it only consumes 62 watts total for power supply and modules in idle state, furthermore the best RCA jacks and loudspeaker binding posts should be used, i still had them so they cost nothing, the cabinet was homemade from aluminium sheet. I use the to my knowledge best volume control available, the DACT 24 step attenuator (also a Danish product), they cost a bundle but sound perfect. If i had to buy all the already available parts, the cost for the total amplifier would still be very reasonable compared with what you get. I use the amps on my Scintilla's and they are still in 4 Ohm setting, I will change this later. But the most important is the sound. Impressive !!!! High and Mid are as sweet as an tube amplifier! I was always thinking the amps give the best off to worlds , the sweet sound from tubes and the power from an transistor amp. Also the soundstage is very good! In the future I’m gonna buy a second pair so I can Bi-amp the Scintilla! Massive power at an extraordinary price! We have designed the ZapPulse 2.2 module to accommodate most uses in top line home audio systems. The sound quality is on the level of the best analog power amplifiers available, but as other amplifiers largely depending on the quality of the power supply capacitors. Cooling of the modules is relatively uncalled for. For most uses you can simply mount the module on a small aluminium or other metal. Even the bottom plate of a normal 1 mm sheet metal enclosure will do fine. 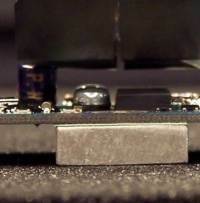 This is one of the reasons that a complete high power amplifier, will build for incredibly low cost. 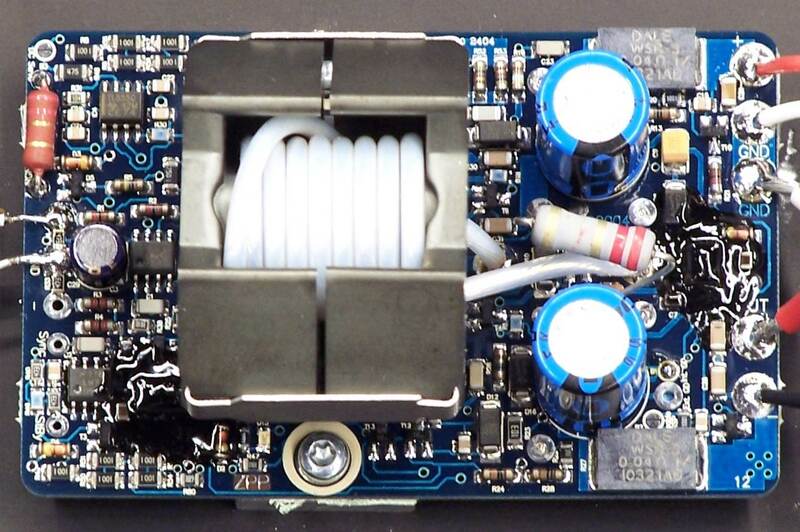 Heat sinks for a normal high quality amplifier represents an essential part of the total cost of the amplifier, together with the overhead of precious power supply capability to carry those excessive watts of loss power, which would in other amplifiers be set off in the heat sinks. 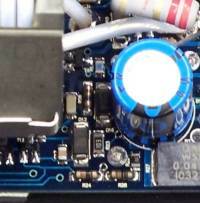 These two items are taken out of the total price tag of a PWM amplifier. 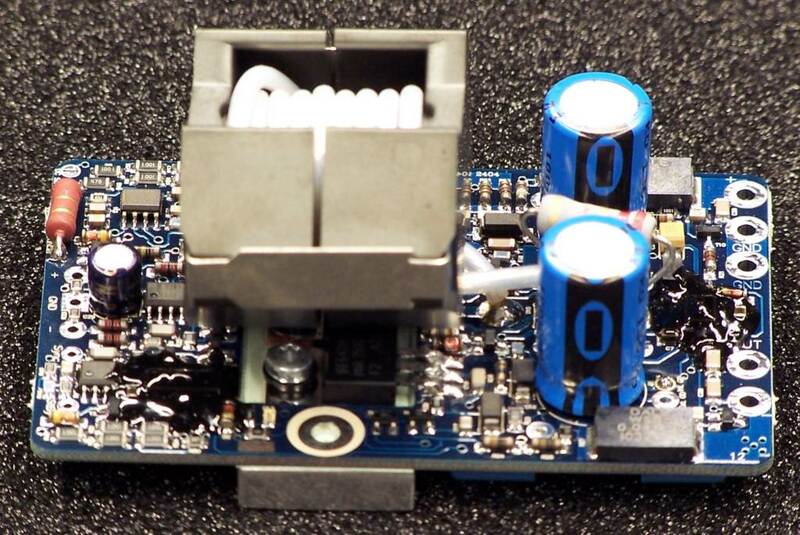 Expensive heat sinks and excessive power supply capacity is simply not necessary. Successive this leads to the possibility to design a smaller enclosure, not depending on heat dissipation. 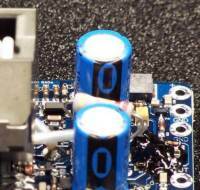 Completely new ways of thinking the audio power amplifier is possible! ZapPulse is based on an integrating modulator, similar to that of any other brand of PWM or ´Digital´ amplifier. 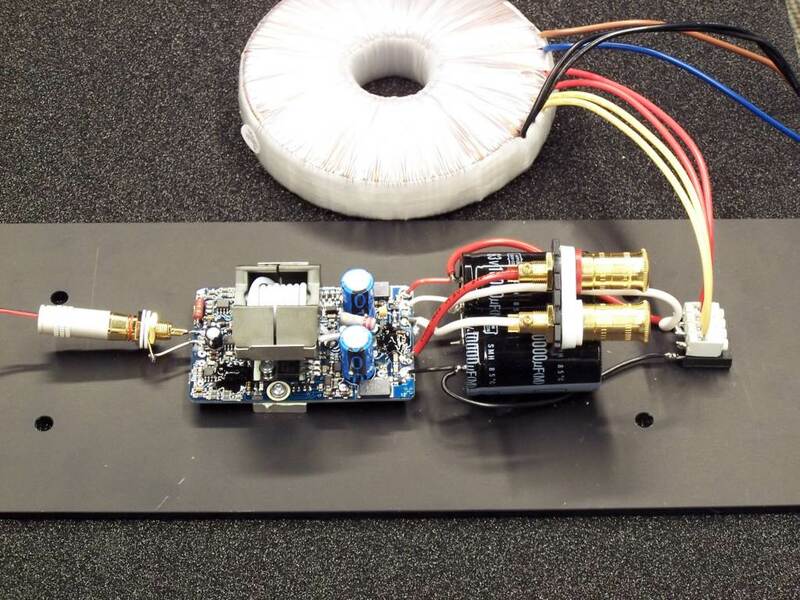 Some makes of this type of amplifier will tell you that they are NOT using PWM technology, and they have invented a completely new special way of building a switching amplifier. This is an old marketing trick, as have been seen in the audio business for decades. We believe the new order of audio enthusiasts demand a true and honest information about any new product, as the market holds more and more new options to choose from. We have analyzed several different of our competitors technology, and they work surprisingly alike, even if there are obviously small deviations in the actual circuits. So what differentiates our product from the competitors? We use Audio Grade parts, to build our amps. Especially capacitors and resistors are chosen with great care, as these parts have a profound influence on sound quality in any design. We use ultra fast audio grade opamps in the integrator, we use high grade polypropylene capacitors to power rail filtering and output filtering. We use a low distortion ferrite coil with about 5 times higher saturation point than our competitors. The result is a super high efficient amplifier, that even in the standard implementation surpasses the sound quality of most conventional amplifiers. The sound is soft, and with a touch of tube like warmth in the voice range. One distinct property of the ZapPulse is the capability to expand the sound stage. When you increase the power level, most conventional amplifiers tend to narrow the soundstage, and get a more aggressive midrange, and less resolution in the mid and top ranges. A ZapPulse (like most other PWM amplifiers) have the ability to maintain the same soundstage, dynamic and midrange resolution at both high and low power levels. This is what HiFi reviewers label the amplifiers capabilities of soundstage expansion. On this field ZapPulse is extremely capable, and always makes a highly dynamic and precise soundstage, never with aggressive voice reproduction.